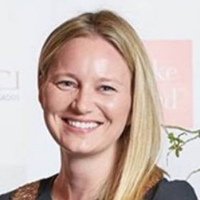 Alice heads the IP/Commercial Legal Team at Farfetch. She has responsibility for all contentious and non-contentious global IP matters, large-scale commercial support for the Store of the Future, Innovation & Strategy, Marketing, Product, Fashion Concierge, and Customer Services business units, EU regulatory matters and sits on the Farfetch Innovation Council and Data Governance Committee. She trained and qualified at Macfarlanes as a Commercial & IP Litigator, with a secondment to Nike EMEA, before moving in-house first to media organization Argus Media, and then to Farfetch in 2016.